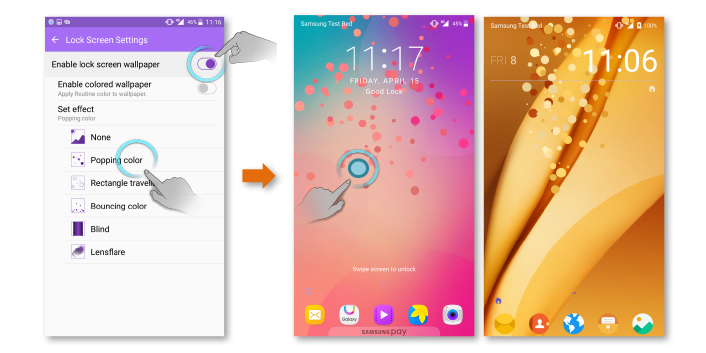 Meet Samsung’s Good Lock—an app that not only lets you customize the on-screen look of your Galaxy smartphone, but also alter the way you use your lockscreen and notifications. 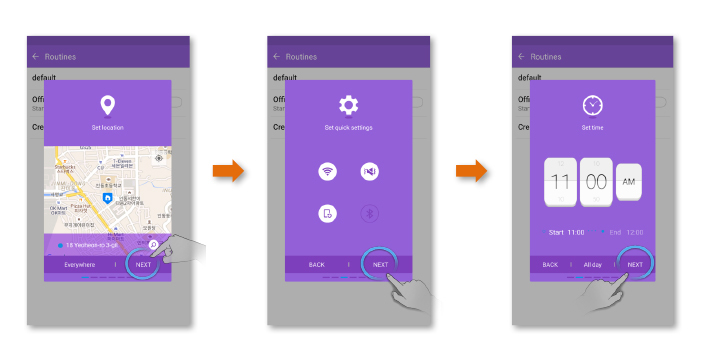 For users who love getting hands-on when it comes to personalizing their smartphones’ look and interface experience, here is a walkthrough of some of Good Lock’s defining features. 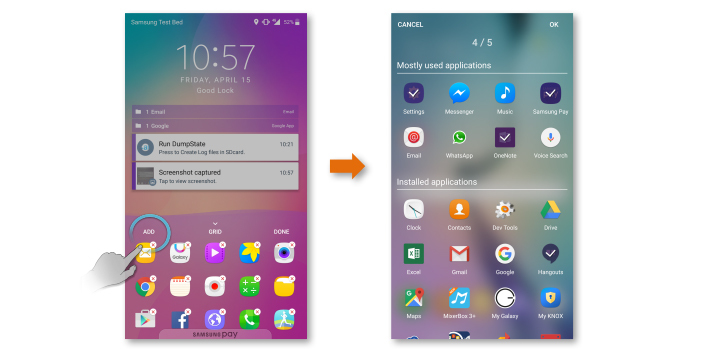 Launch apps in an instant from the lockscreen with the App Tray feature and get up-to-date with app information quicker than ever. 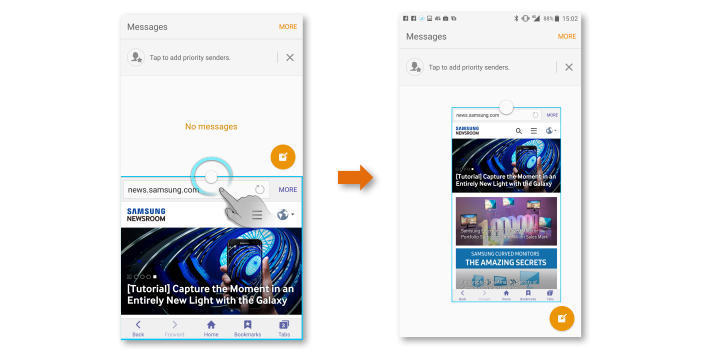 Just pull the App Tray handle up from the bottom of the screen to reveal an area where you can keep shortcuts to frequently accessed apps. 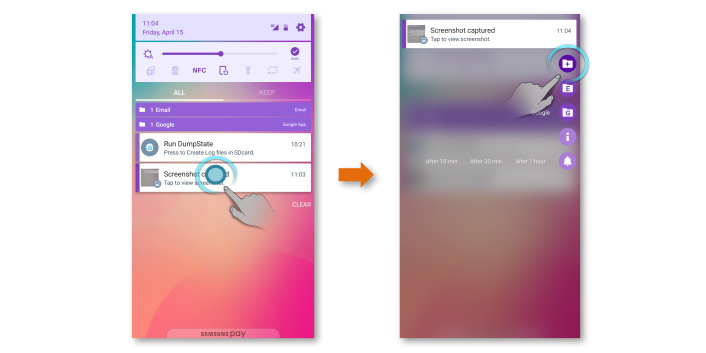 Use the Edit and Add buttons to select or remove apps. 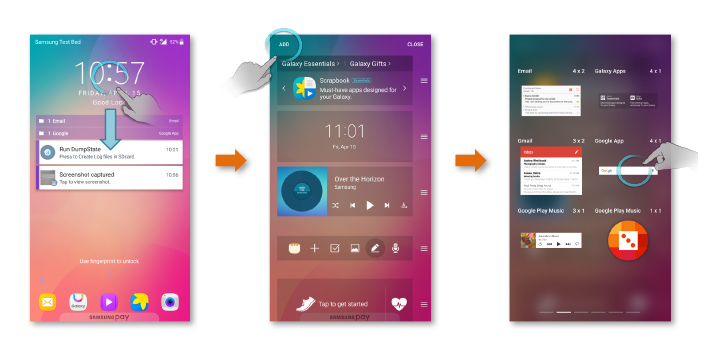 With the Lockscreen Widget, you can see the information of your choice quickly without unlocking the screen. When you drag down the widget area (below the clock on the screen), you can see a list of widgets and set, edit or add to the list. 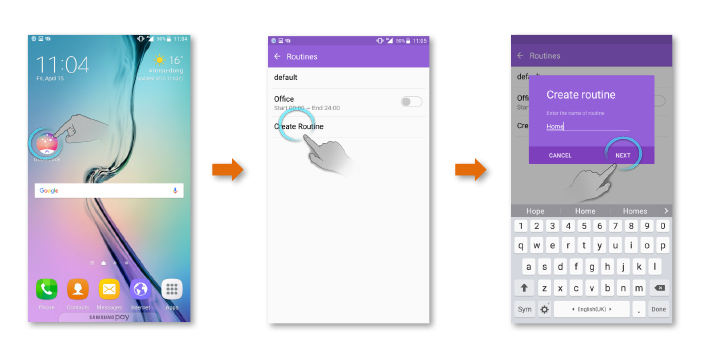 In addition, you can organize Notifications from the lockscreen: save, categorize and get reminders. If you see a notification you need, simply long press it to sort it into a category. Save notifications using Keep, allowing you to check app alerts later, or touch the alarm button to set yourself a reminder. 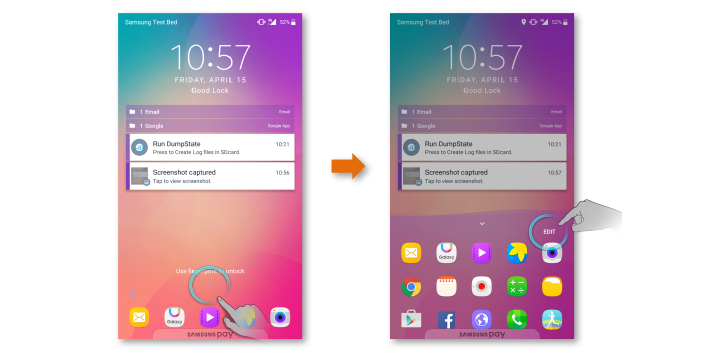 Routine lets you customize your lockscreen layout, your App Tray, Lockscreen Widget, background colors and clock so your Galaxy device looks just the way you want, when you want. 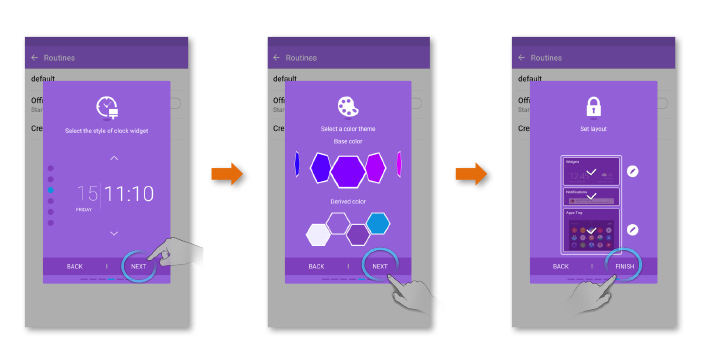 This allows you to fill your App Tray with productivity-enabling apps during work hours, but switch to a Routine with entertainment-orientated apps in the evening—and pick color schemes that match your moods. There are more benefits to using Good Lock. 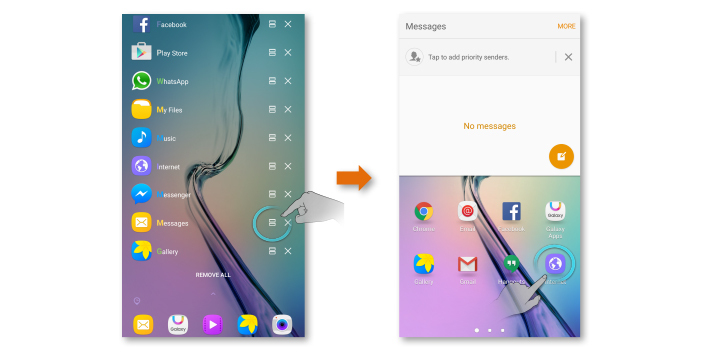 Recents lets you scan through a list of recently used apps, and enjoy faster transition between your applications using the app icon. Meanwhile, if you feel like giving your lockscreen a facelift, Effects lets you adjust your wallpaper, add or adjust popping colors and highlight parts of the screen you want to make stand out. 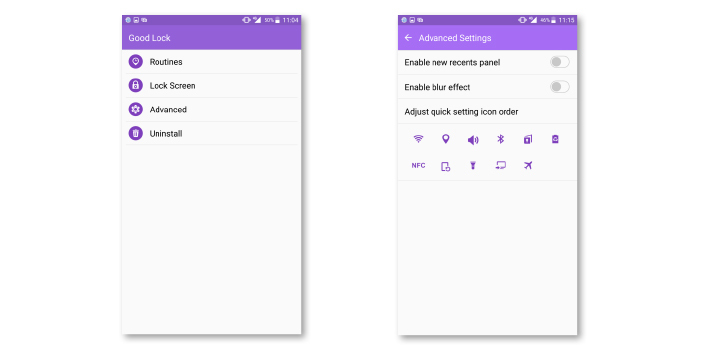 Quick Settings also lets you make fast changes to your smartphone setting on the notification panel. If that is not enough, you can also tap on links that will take you to more advanced settings menus. 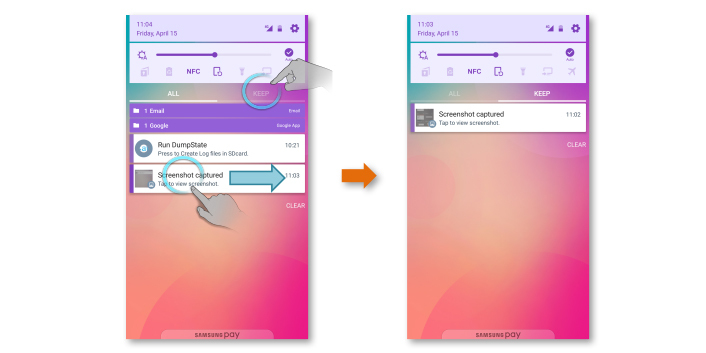 Samsung is currently providing bi-weekly updates to Good Lock in response to user feedback. 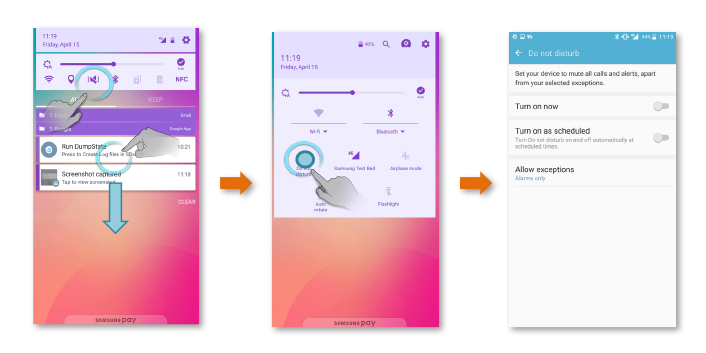 Since its first launch, Samsung has already made several improvements including adding options for NFC, Power Saving Mode, Smart View and Privacy Mode to the Quick Settings menu, supporting for more Routine colors and providing list- or card-type Recents. Good Lock is currently available as a download from Galaxy Apps in the United States, the United Kingdom, Canada, Australia, Singapore and Korea. It is compatible with the Galaxy S7, Galaxy S7 edge, Galaxy S6, Galaxy S6 edge, Galaxy S6 edge+, Galaxy S6 Active and Galaxy Note5 (running on Android 6.0 Marshmallow OS). *All functionality features, specifications and other application information provided in this document are subject to change without notice or obligation.